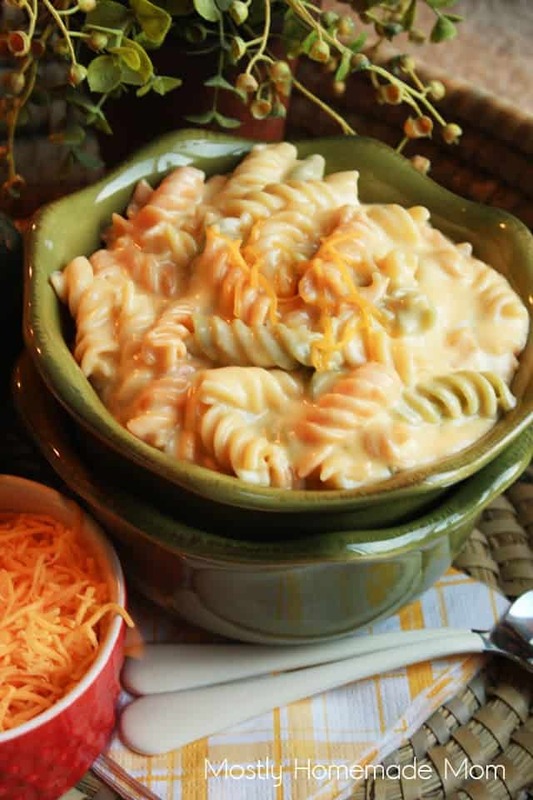 In 15 short minutes, you can have this decadent, cheesy mac & cheese on the table ready for your family! As seen in Back Around the Table: An “In the Kitchen with David” Cookbook! 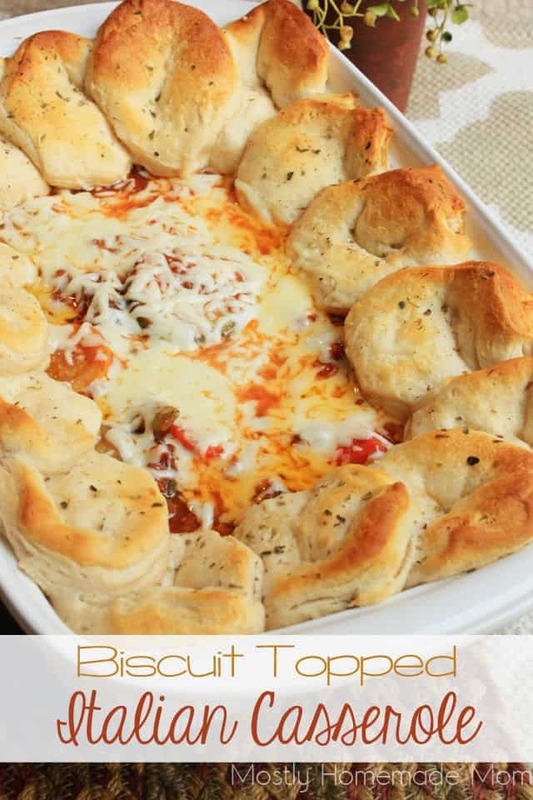 I’m not sure there is a better dinner to get your family around the table together on a busy weeknight. I honestly think that’s one of the main reasons everyone looks forward to Thanksgiving so much – being able to actually sit around the table from each other and enjoy a nice, long meal together. Personally, Thanksgiving is one of my favorite holidays for that exact reason! 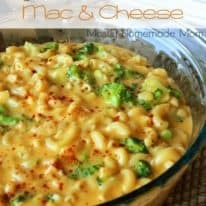 This 5 Cheese Mac & Cheese will have the whole family running to the table for sure! I was given a copy of Back Around the Table: An “In the Kitchen with David” Cookbook by the popular foodie host David Venable from QVC. 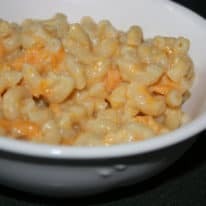 I can see why this amazing mac & cheese was included in the cookbook – it will become an instant favorite in your family as it has become one of ours! Melt the butter in a dutch oven over medium heat. Add the flour and mustard and stir with a wooden spoon or whisk until a thick paste forms, 2 to 3 minutes. Stir in the cream and bring the mixture to a simmer, stirring until the sauce becomes thick. 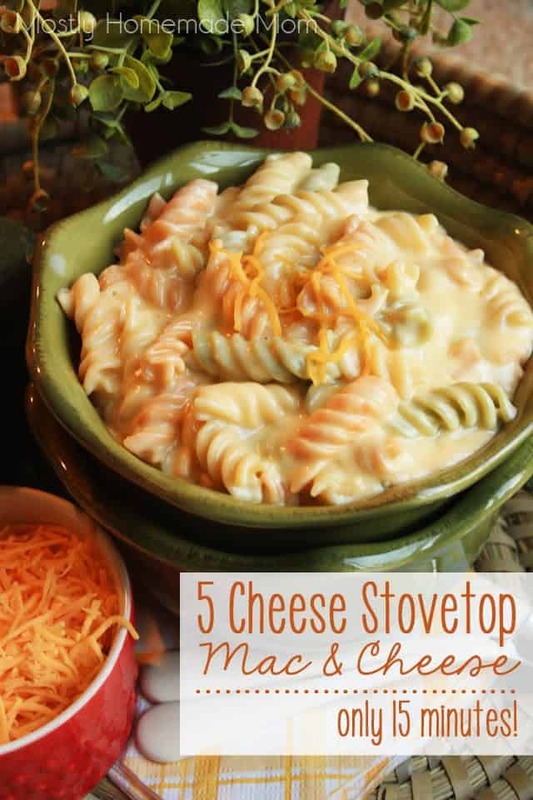 Add the Gouda, Gruyere, Asiago, yellow Cheddar, and white Cheddar, stirring the cheeses until melted and sauce is smooth. Add the cooked pasta and stir well to combine. 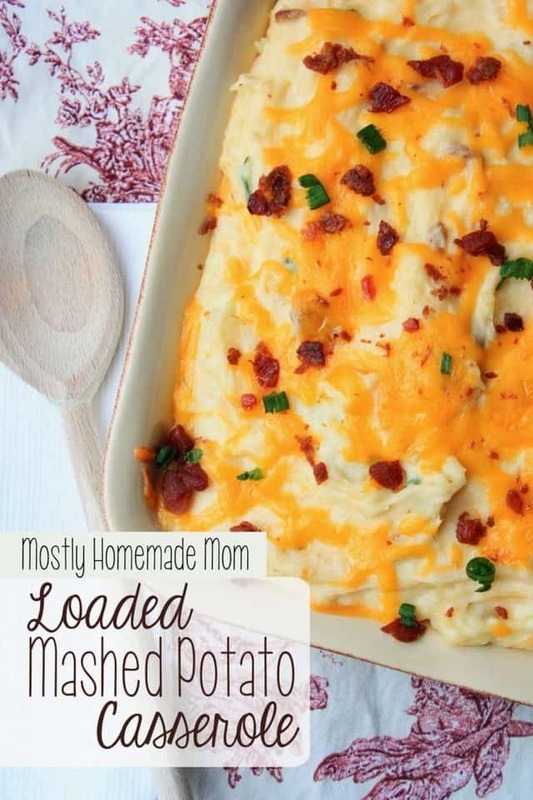 Stir in the sour cream, salt, and white pepper and cook until the ingredients are combined and hot, 2 to 3 minutes. Serve immediately. I cannot even begin to tell you how many recipes in this book I want to try! 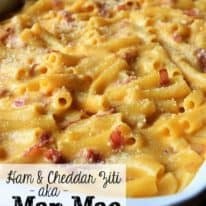 Red Velvet Milk Shakes, Italian Wedding Casserole, Garlic Mashed Cauliflower and Potatoes… seriously SO many yummy ideas in here! I have been a long time fan of David Venable and the awesome foodie products and cooking demonstrations he shares on In The Kitchen with David on QVC – he always brings along his favorite recipes as well and I’m so excited to get my hands on his brand new cookbook! 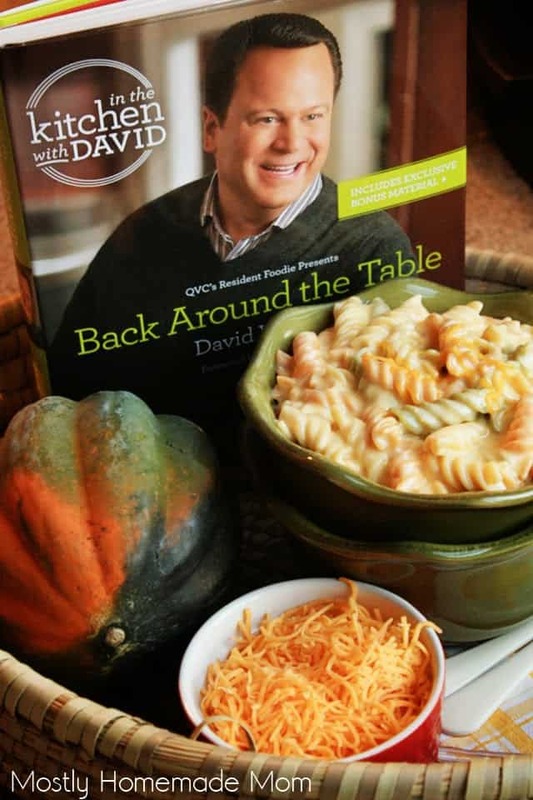 Released in October 2014, this cookbook features over 100 brand new recipes, as well as 30 fan favorites, that highlight David’s awesome spin on traditional comfort food favorites. This would make such a perfect gift for the cook and foodie lover in your life – it would be on mine, for sure!